Dr. Ning Ge is an Associate professor of the Center of Geriatric Medicine and Gerontology, West China Hospital, Sichuan University. She is also a member of Geriatrics and Gerontology Committee of the Sichuan Medical Association, a member of the Evidence-based Medicine Committee of Chengdu Medical Association, and a member of the West of China Union of Geriatrics and Gerontology. She received her B.A. from West China University of Medical Science in 1995. In 2010, she received her M.D. of Internal Medicine at West China School of Medicine, Sichuan University. 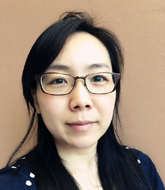 Dr. Ge was sponsored by China Scholarship Council as a visiting scholar at Division of Geriatric Medicine and Gerontology, Johns Hopkins University School of Medicine from June 1, 2015, to May 31, 2016. Dr. Ge’s research on Geriatric Comprehensive Assessment has received three awards from the Science & Technology Department of Sichuan Province. She has published over 20 peer-reviewed original and review articles. 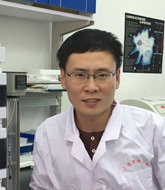 Luping Zheng received his PhD from College of Life Sciences, Liaoning Normal University. He is working as a researcher at the Institute of Integrative Medicine, Dalian Medical University. His research interest focuses on the antiviral effect and immunomodulation of ginsenosides Rg3. Zheng has participated in the State Key Program of National Natural Science Foundation of China, Projects of International Cooperation and Exchanges and other Natural Science Foundations of China. He has published more than 20 scientific articles in the journals. Dr. Guobing Chen is an Immunologist in China. He obtained his Ph.D degree of Medical Research at the John Curtin School of Medical Research, the Australian National University in 2011, and was trained as postdoc in the National Institute on Aging, National Institute of Health. In early time, he worked on interleukin 21 (IL-21) for gene therapy on cancers. He also identified the roles of c-Rel, a NF-kB transcription factor. His current studies include T cell antigen receptor (TCR) repertoires identification and epigenetic regulation of CD8 T cell memory formation. Dr. Chen received many awards, including Australian Leadership Awards Scholarship (2007), Chinese Government Award for Outstanding Self-financed Students Abroad (2010) and Fellows Award for Research Excellence (FARE) in NIH (2014). As the director of dermatology department and research department of China-Japan Friendship Hospital, Dr. Cui has won “The National Hundred, Thousand and Ten Thousand Talent” Award, “The Outstanding Contributing Young and Middle-Aged Experts”, “New Century Excellent Talents in University of Ministry of Education” and so on. Now, he mainly focuses on Genodermatology and Digital Dermatology, particularly on the Digital Dermatology which includes skin Digital Photography, Dermoscopy, skin CT and Teledermatology. In 2008, he made a comment and system introduced digital technology in dermatology on the Journal of Clinical Dermatology. The concept of "Digital Dermatology" was put forward for the first time. He received supports from the Smith-Gibson Scholarship (One person per year, Global oriented) of Mayo Clinic in the United States and the China Scholarship Fund for a 15 months "Digital Dermatology" exchange visit in USA in 2010. In 2013, Dr. Cui established the academic organization of this field in China for the first time, the Alliance of Digital Dermatology of Chinese Society of Dermatology, and served as chairman. In recent years, Dr. Cui has also embarked on the establishment and application the Teledermatology in Anhui province in the framework of collaborative innovation of difficult and severe dermatosis. Ling Liu, MD, PhD, is an attending physician at the Department of Dermatology of Xijing Hospital, Fourth Military Medical University. 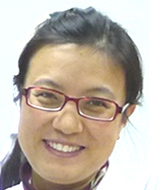 Dr. Liu's research interests revolve around the mechanism of oxidative stress-inducing melanocyte damage in vitiligo. The research supports include General program of National Natural Science Fund of China, and Young scholars program of National Natural Science Fund of China. 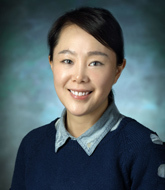 Dr. Liu has published 21 original peer-reviewed papers, 3 of them were published in Journal of Investigative Dermatology, and served as a mentor of two graduate students. The research results were either presented or posted in European Academy of Dermatology and Venereology, Eastern Asia Dermatology Congress, Annual Meeting of Chinese Society of Dermatology, and Annual Meeting of China Dermatologist Association. 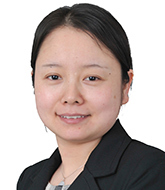 Dr. Liu is a peer reviewer of Chinese Journal of Dermatology, Journal of Clinical Dermatology, and International Journal of Dermatology and Venereology. Dr. Kong is an Associate Professor and Supervisor of Postgraduate in Peking University Institute of Hematology, Peking University People's Hospital. Dr. Kong acquired Ph.D. degree of Peking University in 2007. She worked as a visiting researcher in Kyushu University Graduate School of Medical Sciences and RIKEN Yokohama Institute in Japan for about two years. Her major research involves the study of hematopoietic stem cells, leukemic stem cells and bone marrow microenvironment. 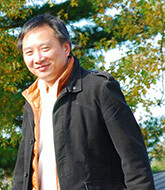 Dr. Kong undertook or took part in nearly 10 national and minister/provincial projects. Dr. Kong’s publications appeared in prestigious journals like Leukemia. She is a member of Chinese Pathophysiological Association of Experimental Hematology. 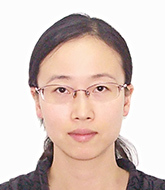 Xiao-Jing Yan is a professor and investigator in the Department of Hematology in the First Hospital of China Medical University. She received her MD of Hematology from China Medical University and PhD of Genetics from Shanghai Institute of Hematology/State Key Laboratory of Medical Genomics. She mainly focuses on the clinical and basic research of hematological malignancies, especially the molecular mechanism and targeted therapy of leukemia. She has published over 10 articles on world-leading journals such as Nature Genetics and Science with total impact factors over 100 points. She has been awarded first prize of Medical Science in Liaoning Province and Grand Prize of Shanghai Natural Science Award for her research progress, and is now leading several national and provincial projects. She has been honored Young Top-Notch Talents in China, New Century Excellent Talents in Universities of China, and Distinguished Professor in Liaoning Province and Outstanding Youth Post Expert in Shenyang. 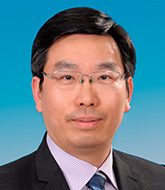 Dr. Xiaomin Zhang is a chief consultant and professor of Tianjin Medical University Eye Hospital. She is the director of Uveitis & Ocular Immunology Service, and the vice director of the Tianjin Medical University Eye Institute. 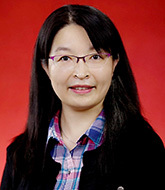 Dr. Zhang obtained her PhD from Tianjin Medical University in 2004. She obtained her Master of Science and Bachelor of Medicine from Weifang Medical College in 2001 and 1998, respectively. She received postdoctoral training in Ophthalmology at Rothschild Hospital and University Paris 12 in Paris from 2005 to 2006. Her main research interest is the pathogenesis and therapy of autoimmune uveitis. Dr. Nan Wu received his M.D. degree from Peking Union Medical College & Chinese Academy of Medical Sciences. He is now practicing as a surgeon in Peking Union Medical College Hospital. His research direction is clinical genetics, and he has successfully carried out a series of original genetic studies of bone and joint disease, especially in vertebral malformations. He has expanded his research interest on genome-wide analysis by using next-generation sequencing and array-based comparative hybridization years ago. He has achieved several scientific results in the explanation of genetic etiology of vertebral malformations. 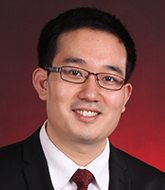 Dr. Wu has served in several international or domestic groups. He is now a member of International Consortium for Vertebral Anomalies and Scoliosis (ICVAS), Orthopaedic Research Society (ORS), American Society of Human Genetics (ASHG), the Genetics Society of China (GSC) and a committee member of the Youth Society of SICOT China Chapter etc. He has been invited to give scientific lectures in different countries or regions many times, and is in charge of six projects including the National Natural Science Foundation (NSFC) of China, Beijing Natural Science Foundation (BNSF) and central level program for scientific research institute, etc. Dr. Wu has published about 30 papers, 11 of which as (co)first or corresponding authors (with total IF > 80), including an original article in the New England Journal of Medicine in early 2015. Because of his scientific contributions, he was enrolled in the Beijing Nova Program of Science and technology, and received the highest prize of orthopaedic research (Edmud Y.S Chao Orthopaedics Research Awards) in China. Dr. Yan is an Associate Professor of Reproductive Medicine Center, Department of Obstetrics and Gynecology, Peking University Third Hospital. She focuses on early embryonic development, preimplantation genetic diagnosis of single gene disorders, human oocyte maturation, oocyte vitrification and ovarian tissue cryopreservation. As the first or corresponding author, Dr. Yan has published a total of 14 papers in the journals Nature, Cell, Nature Structural & Molecular Biology and PNAS, et al. She has received six grants from the government, including National Natural Science Foundation for Outstanding Young Scientists, and National High Technology Research and Development Program of China.